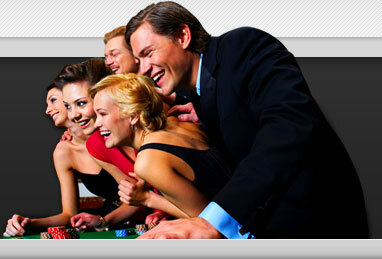 Tips & Strategy will give you a very good break down for when you play your next Casino Game. As well as to know when to walk away from the Slot Machines, Know your budget, Not to play under the influence, Take your winnings and walk away, Keep it in mind that there will be times when you loose, Etc. Tips & Strategy will also give you a break down as to knowing the type of Online Slot Game you are playing in order for you not to make any wrong mistakes' which could coast you your money. Most Slot games do give you better odds than other slot games. There is a wealth of information both on the Internet and in print which will inform you of the odds you face in any given game and the strategies that will help shave the house edge to a minimum. If you spend some time reading and you'll spend a lot less time wondering where your money went. Let's say you've got R2,000 and you want to gamble 3 times a week for the next week and a half. Then your budget should be about R300 per session. If you do end up spending your budget, then walk away. Enjoy the rest of the day knowing you kept your promise and only lost that days budget and prepare to win the next day with the next days budget. Do not touch any other days portion of the budget. If you come to a point where by you are spending your rent money etc, and you have been loosing all other rounds -stand up and walk away. You can not possibly think straight and you can not keep your emotions from influencing your the decisions you make. You must play the odds not play your emotions. Know when to stop when you have won. Some folks call it quits when they're up by 50%. Some when they've doubled their session bankroll. But most strike it unlucky when things turn and they lose 30% of their winnings. Whatever your break-point, it's important to have one and stick to it. Casinos don't depend on some sort of luck to stay in business. On in almost every bet you make in whatever the game is that you play, the house's win is designed into the rules of the game. Which means generally they'll be the winner a lot more often than you'll be. 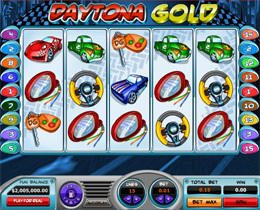 Daytona Gold is a game that makes your heart race faster that the speed meter. There are many exciting features included in this Video Slot to help you win, so get your engines ready for the Speedway Bonus round where more bonus points can be won. If you are the next champion racer you will win the speedway Bonus round and will be rewarded with the National Speedway Champagne Victory Cup. This is the ultimate grand finale celebration, so Ready, Get Set, Go!